Dedicate a Light to Your Loved Ones! 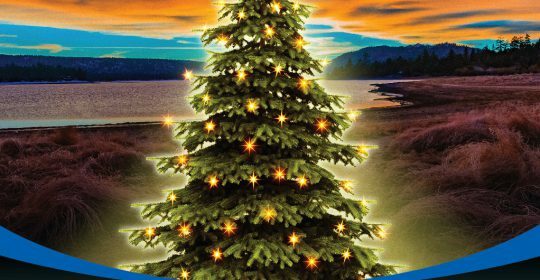 Help us brighten the Big Bear Valley sky this holiday season by honoring the life of someone you love. The Tree of Lights ceremony provides a way for you to honor your loved ones. Guests who attend the ceremony on November 10th will find peace and joy in the symbolism of the illuminated lights as the names are read aloud. 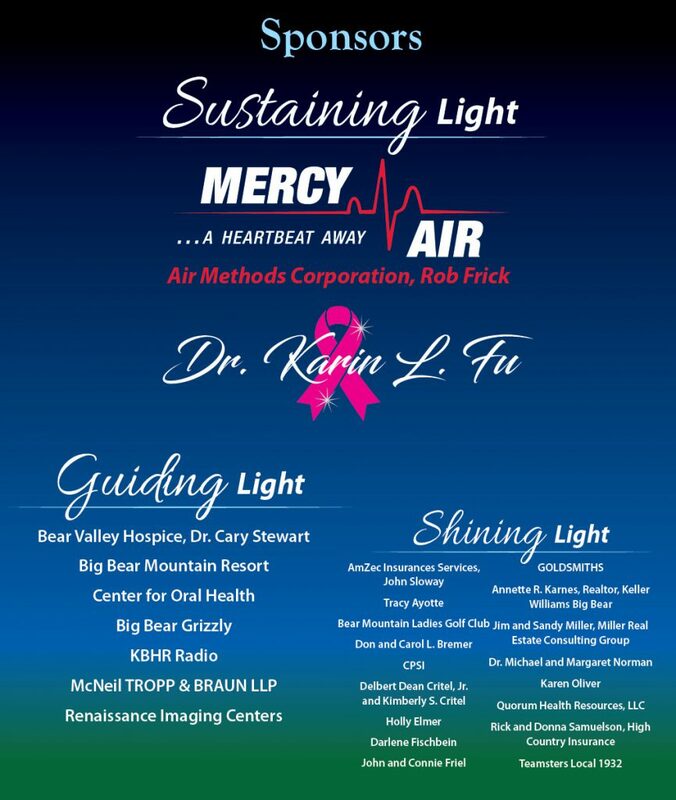 Your donation of $25 for each person you honor will help the Foundation raise funds necessary to continue providing our high level of care for our hospital. The Tree will be lit at dusk daily and will shine brightly until midnight, November through January 31. We are hoping that this annual lighting will lift our hearts as we celebrate, honor and remember those we love. Please see the reverse side to learn about how to submit your loved one’s name. BVCHD Hospital 41870 Garstin Dr.
After the ceremony, all guests will be invited to the hospital conference room and patio to share refreshments and conversation. 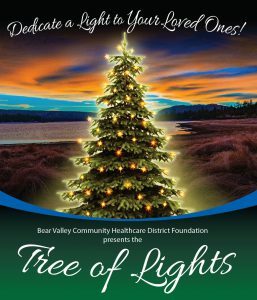 The BVCHD Foundation would like to thank all of you who have attended our inaugural Tree of Lights Ceremony.